Your gift supports the scientific discovery that advances diagnostics, treatments and cures to improve animal health. Thank you for making a difference and helping the animals we all love. Animals need help from people, like you. Whether you make a donation, host a fundraising event, become a partner, or connect with us on social media, you help to improve their world. Pay tribute to a special pet or person in your life through an impactful donation to Morris Animal Foundation, and make a critical difference in the lives of animals. Choose from a variety of professionally designed cards and tribute gifts to honor or memorialize a loved one. 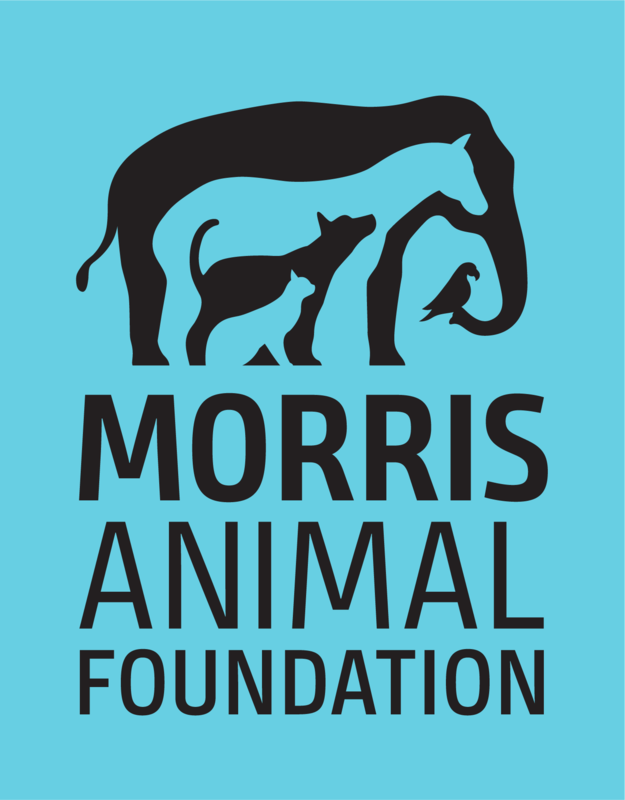 You can improve and save the lives of animals with a monthly gift to Morris Animal Foundation. The sustainable support of our Loyal Friends provides critical resources to advance preventive medicine for all animals, improve veterinary diagnostic tools and develop new treatments to ensure healthier futures for animals everywhere. Circle of Discovery is comprised of a prestigious group of animal lovers who understand that science can change the world – people like you – who make a tax-deductible gift of $1,000 or more in a single year. Your investment advances veterinary medicine for companion animals, horses and wildlife around the world. Morris Animal Foundation is committed to improving the health of animals through science. It’s our mission, and we live it every day. Disease, illness and extinction doesn’t have to be the future for the animals we love. Planned gifts to Morris Animal Foundation will benefit animal health for generations to come and continue your legacy of helping animals. Have questions about donating? Read our commonly asked questions to learn more about giving to Morris Animal Foundation. Morris Animal Foundation respects the privacy of our donors.